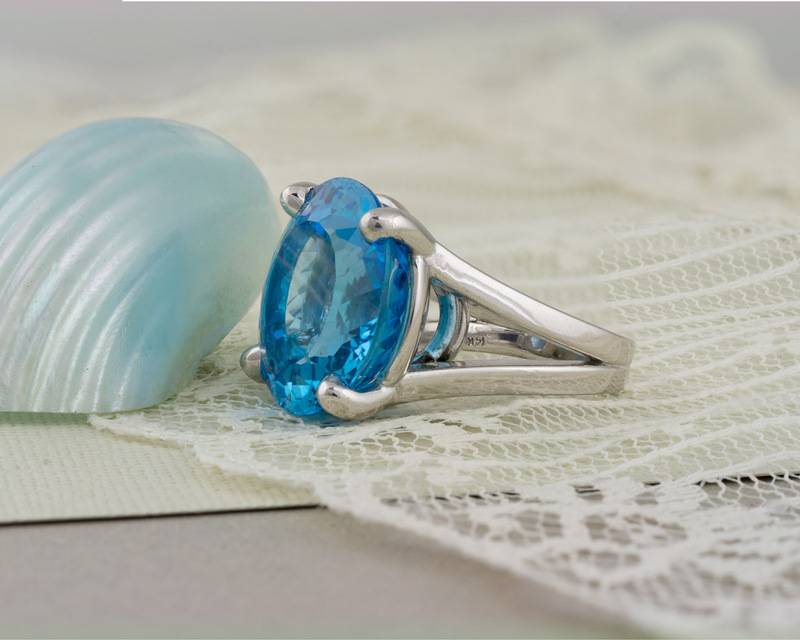 This impressive solitaire ring was designed especially to accommodate the Swiss blue topaz center stone, which weights over thirty-two carats. 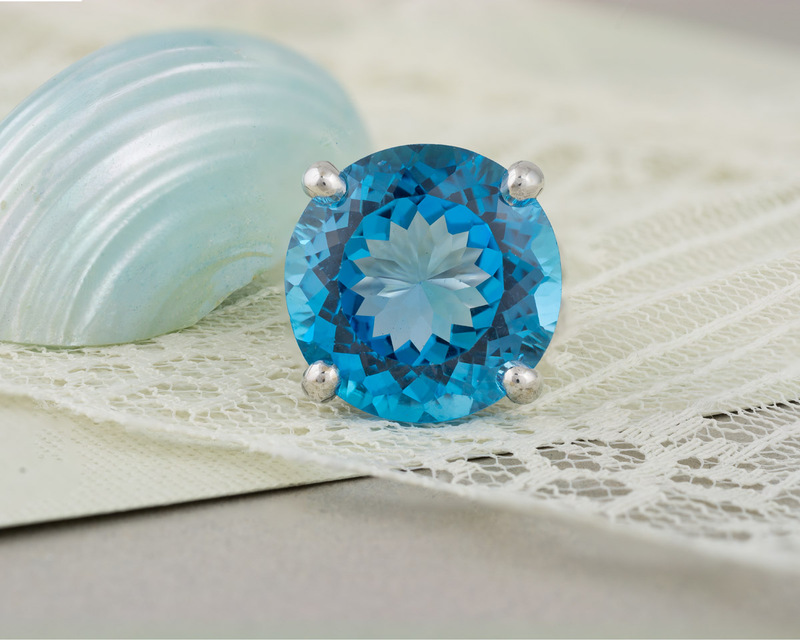 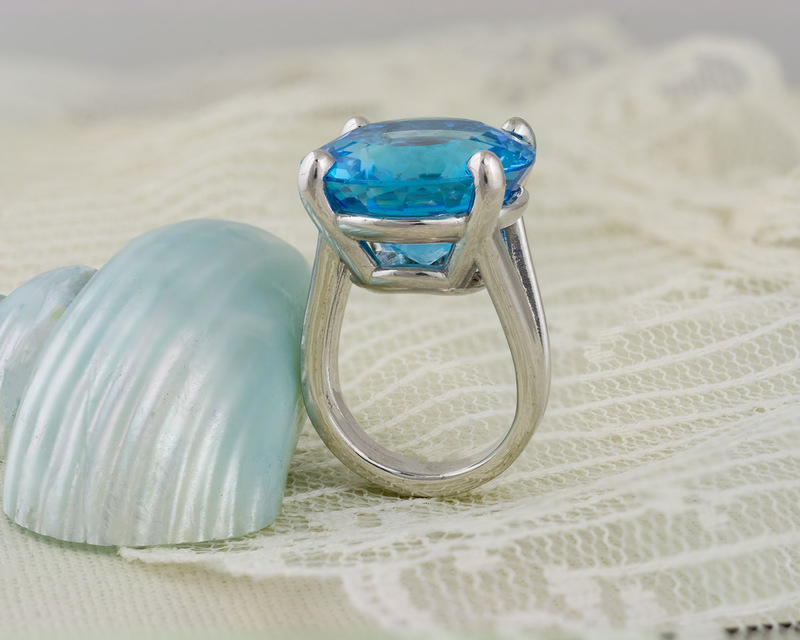 With a simple split shank, and basket style mounting, the topaz is the real focal point. 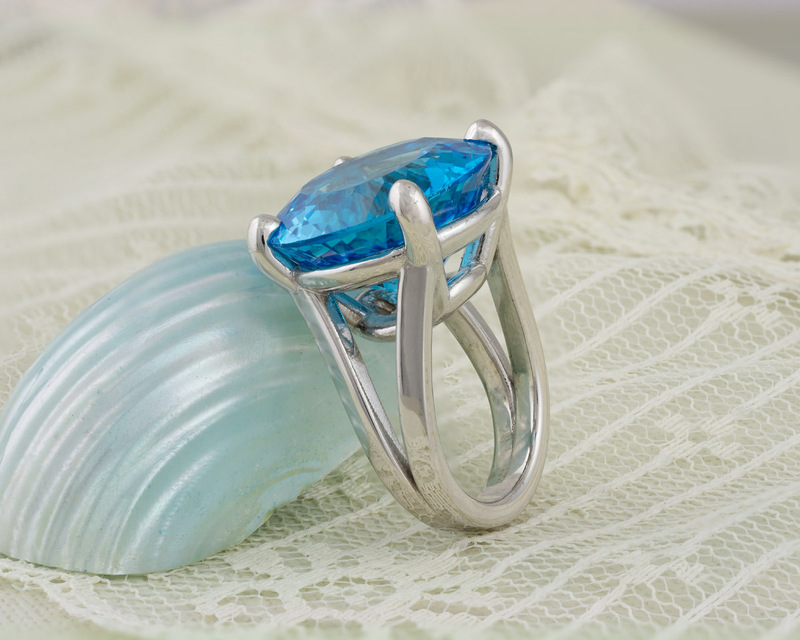 This ring is a statement piece, for sure.